?Art-Deco, Quarter-Repeating? Gubelin, Switzerland, No. 69527. Made circa 1930. Fine, 8-day going, silver, gold and sapphire set keyless miniature desk clock with quarter repeating. 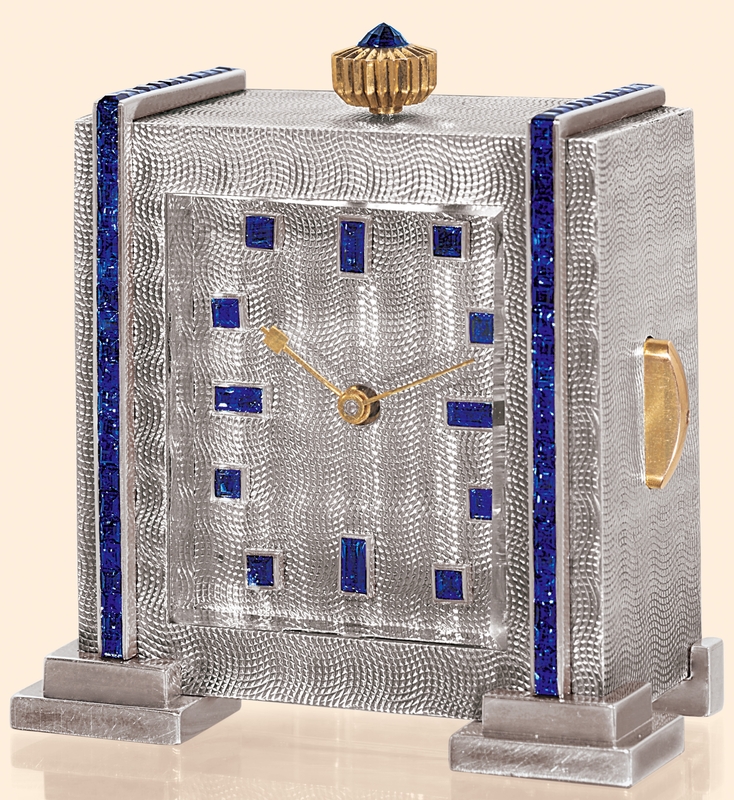 C. Square, engine turned, each side set with a raised line of caliber-set sapphires, raised on stepped feet, gold and faceted sapphire-set crown at the top and gold repeat button in the side, hinged door to the back. D. Rectangular, silver, engine turned to match the case, applied square and baguette sapphire hour markers in gold settings. Gold hands.